We’re loving Ecosia! It’s a search engine which by using its search ad revenue, empowers us (and you!) to plant a tree for every search done on the site. How easy is that! With the help of over 2 million active users and over 2 million pounds donated, nearly 4 million trees have populated draught ridden areas in different corners of the world. 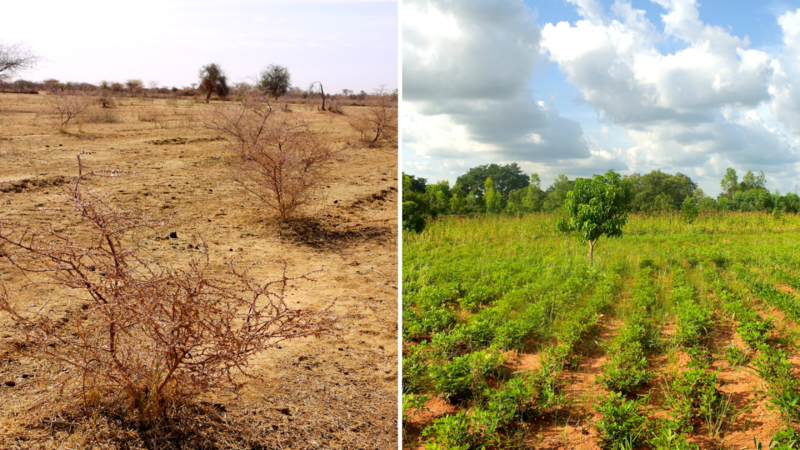 Check out the land in these before and after Ecosia pictures. They brought a dry and deserted piece of land back to life: the new forests create a return of the water cycle and brings back the rain, which helps further develop and sustain the biodiversity of the region and healthier livestock – all of which chain up to more jobs, stronger local economy, personal independence and education opportunities. To start planting trees and become part of the green (r)evolution go to www.ecosia.org for your next search!